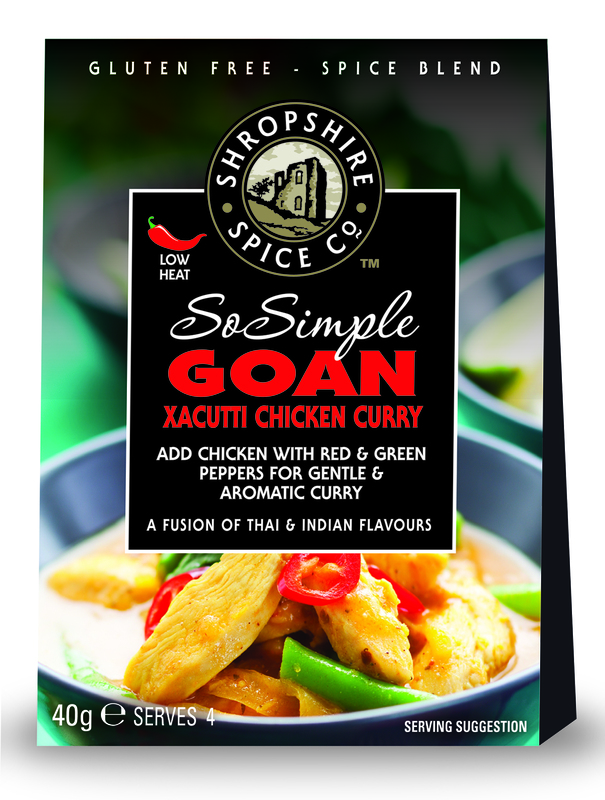 Gluten Free Goan Xacutti Chicken Curry Spice Blend – Add chicken with red & green peppers for gentle & aromatic curry. 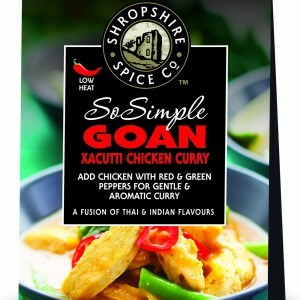 I bought this spice mix at Tynwald Mills on the Isle of Man! As per instructions, I cooked the chicken, added the spice blend, then the coconut milk. The disk looked quite pale and I thought it didn’t look all that tasty. After cooking for ten mins, though, I had a taste and changed my mind! It was very tasty. I cooked the chicken in the sauce for 10mins, then added the peppers for 10mins (rather than 20mins) to keep the pepper a little firmer. The curry has a really good taste. Hard to describe, but quite ‘Thai’ tasting. Very good – recommended. I’ll be buying some more. Note: I used low fat coconut milk as my wife is on slimming world. I’m sure the makers recommend full fat coconut milk and it would give the fullest flavour, but low fat worked fine and we still thoroughly enjoyed it.